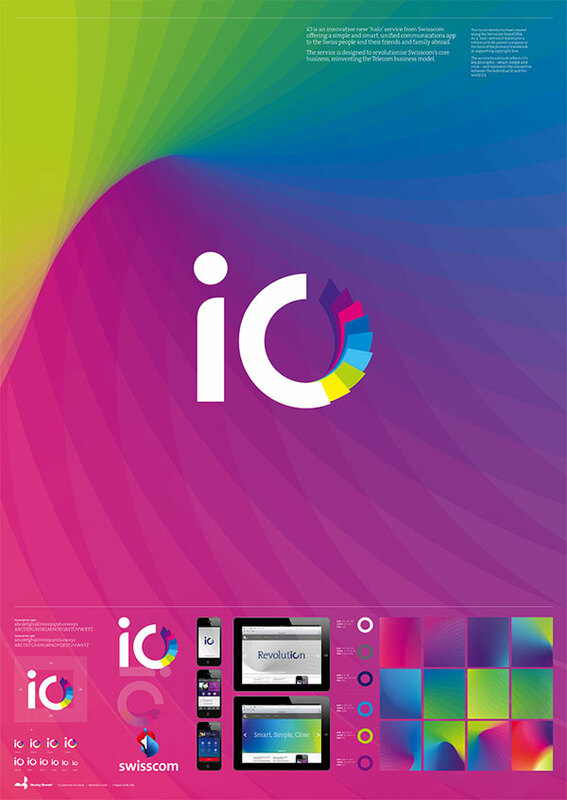 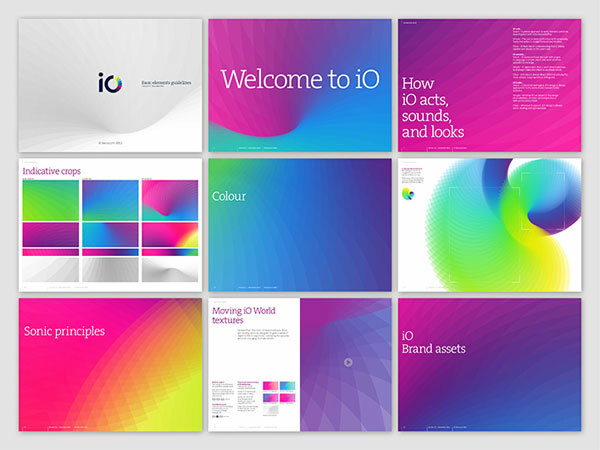 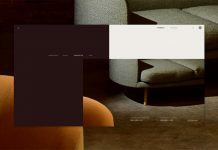 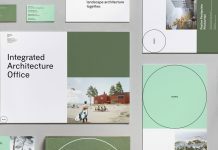 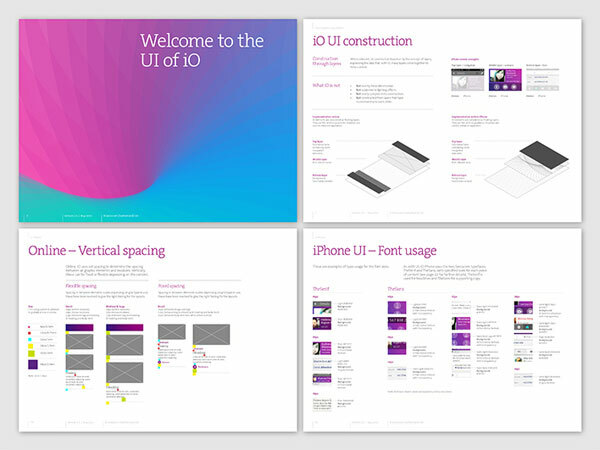 Swisscom iO – Visual Identity Design. 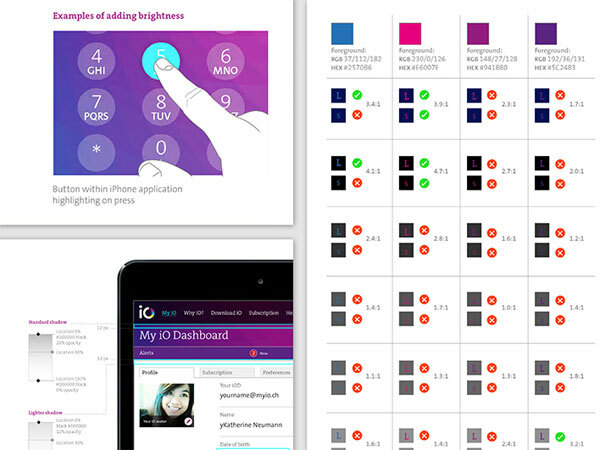 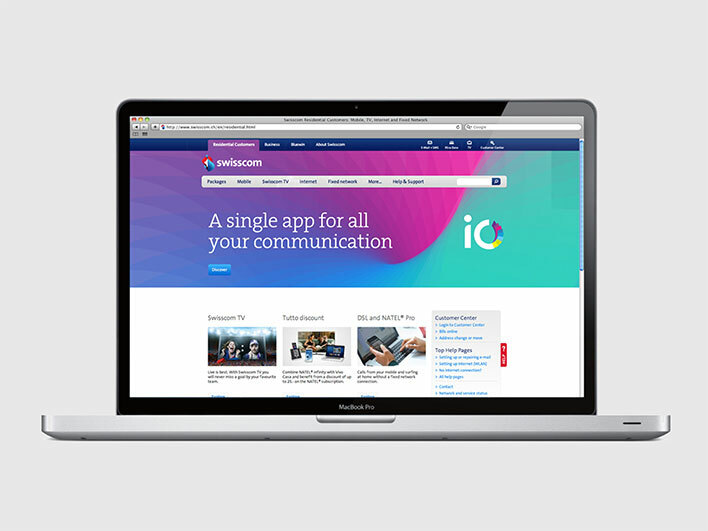 After the release in June 2013, Swisscom iO was the number one free app in the Swiss iTunes store within 24 hours. 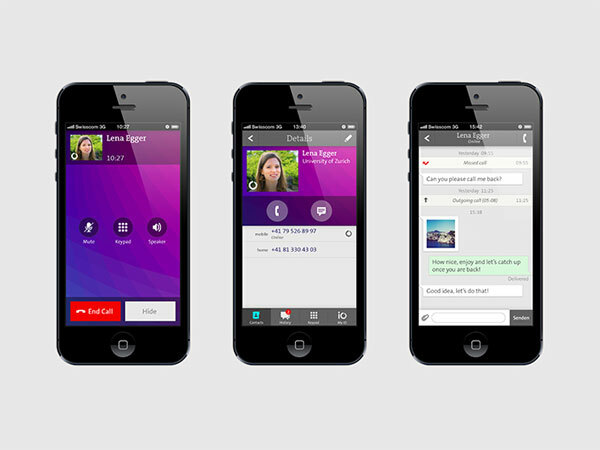 The app delivers free calls, chats, and images to users in one secure and easy-to-use place. 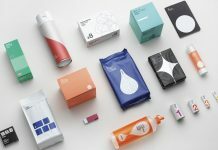 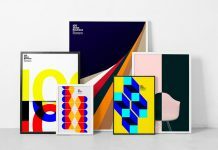 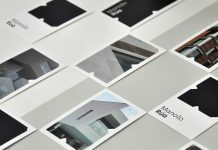 Moving Brands was responsible to define and design the visual identity as well as helping to shape what Swisscom iO could be at launch and in the future. 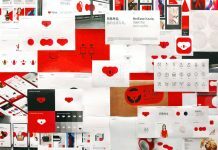 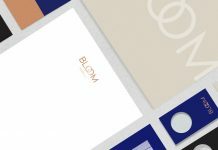 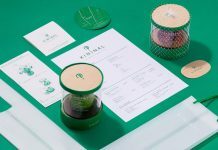 Furthermore, Moving Brands developed the entire user experience of the final app, the website, some brand films, photography treatment, guidelines, messaging and launch campaigns.